There’s a lot more to bathrooms than just taps and tiles. 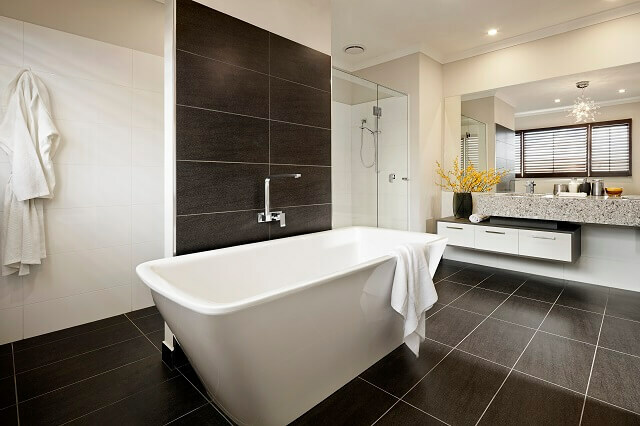 Whether you want your bathroom to be a place for pampering, a sanctuary for relaxation or a statement of your personal style, here are three steps to help you create a truly beautiful bathroom when building a home. Do you prefer Modern, Contemporary or Minimalist? Do you like Industrial, Shabby Chic or Scandinavian? Are you more Traditional, Country or Bohemian? Do you love Coastal Hamptons, Rustic or Hollywood Glam? 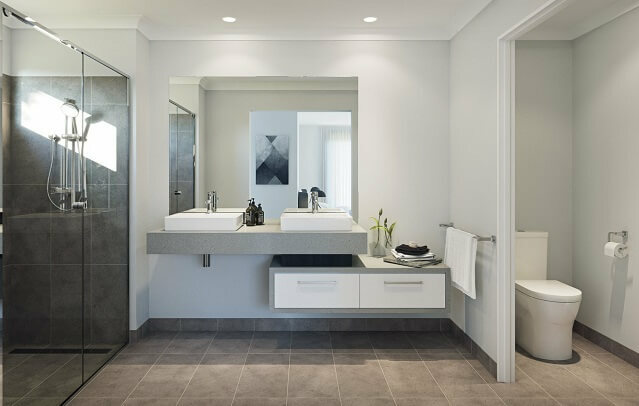 One of the best things about building a home from scratch is the ability to select your favourite colour scheme, fixtures and fittings to create a bathroom that is a true reflection of your personal taste, style and design preferences. While this is usually one of the most exciting stages of building for most, if you don’t have a clear idea of what your preferred style is, the process could easily become more daunting than fun when the time comes to lock in your selections. An easy way to define your favourite style is by flipping through some home magazines or doing some Pinterest research, making note each time you come across an image that appeals to you. After a little while, you’ll most likely start to notice a recurring theme among the images. Shortlist your favourites, then decide which style category those images best fit into and before you know it, you’ve found your style! 2. What story do you want to tell? How you style your bathroom space says a lot about you. Are you practical or glamorous? Do you have a more clinical or organic approach to personal care? Do you like to take your time or is efficiency key? Think about what you want your bathroom to say about you and that will help dictate how best to style it. Incorporate potted plants to create a fresh and natural feel, display a collection of expensive perfumes and scented candles to create a luxurious ambience, or hang colourful towels with contrasting geometric patterns to create a bold and edgy space. Even have a think about what your toiletry selections will be. While it may not be cost effective to buy expensive products in beautiful packing for everyday use, why not invest in some luxurious products which you can store away and bring out when you have guests visiting. 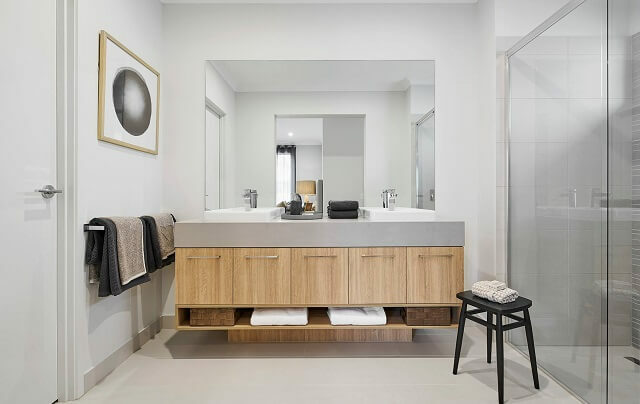 By understanding how you plan to style your bathroom early-on in the piece, you’ll have a lot more confidence that your vanity, basin and tapware selections will suit the type of space you want to create. Once you’ve defined your style and worked out what story you want to tell, consistency is key. If you go for a glamorous look in your bathrooms, a warm and rustic feel in your kitchen and a unique Bohemian style in your living spaces, chances are you’ll end up with a very disjointed home that overwhelms the senses. By picking a theme and sticking to it throughout the entire house, you’ll be able to select a consistent combination of colours, fixtures and fittings that work harmoniously, to not only create a stylish bathroom, but a stylish home. It’s hard to get it wrong when you build with the Dennis Family. During your personal colour consultation, our friendly team will be able to help guide you through our range of bathroom and other design options, to help you create a home that is truly you. Browse our range of stylish home designs to get started, or contact us to find out more.